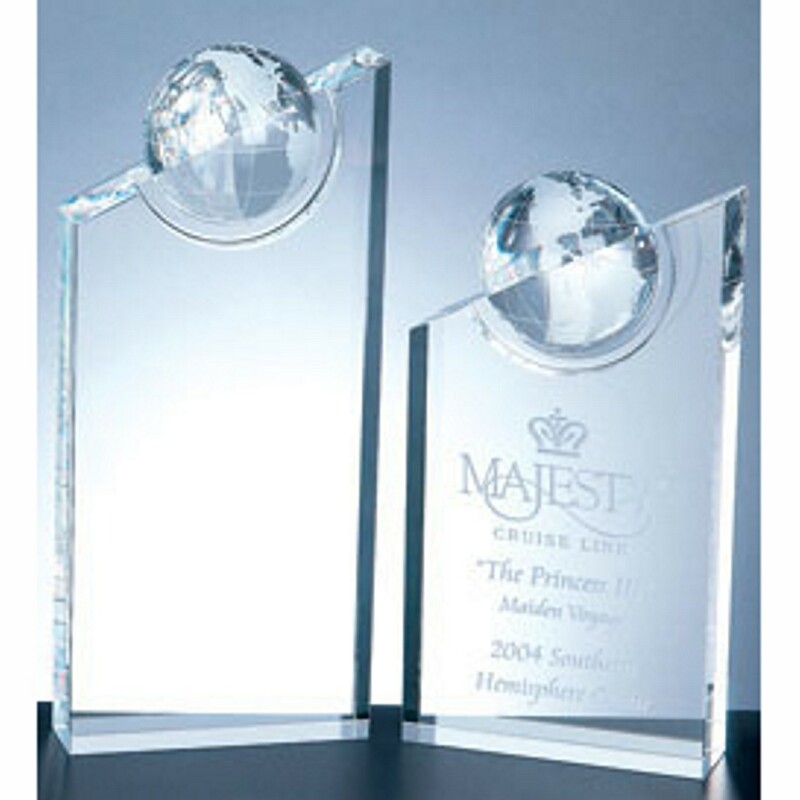 Give thisWorld Globe Crystal Pinnacle to a deserving employee and show that he or she is out of this world! 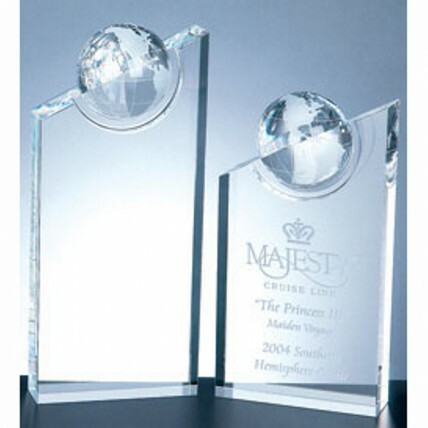 This stunning optical crystal award has a pinnacle shape crystal with a 3-D half-globe bursting through the top. Available in 3 sizes, it also includes a foamed gift box. Small: 3.5"x3.75", Medium: 5"x3.75", Large: 6.5"x3.75"
Production time for this product is 5 business day(s); expected pickup or shipping date is 04-25-2019.